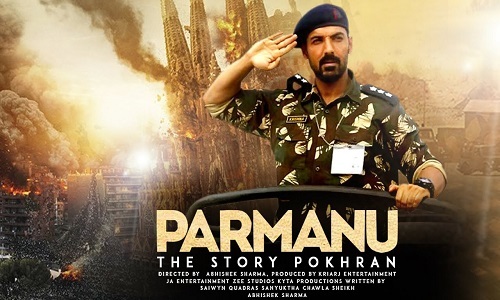 Parmanu: The Story of Pokhran is an upcoming Indian Hindi feature film, directed by Abhishek Sharma. The film is based on the biggest secret mission ever undertaken by the Indian Government where five nuclear bombs were tested in the Pokhran range in 1998. The movie features John Abraham, Diana Penty and Boman Irani in lead roles. Produced by Zee Studios and Kyta Productions in association with JA Entertainment, the film is written by Saiwyn Quadras, Sanyuktha Chawla Shaikh and Abhishek Sharma. All India Distribution by Vashu Bhagnani's Pooja Entertainment. Parmanu is slated to release on 25 May 2018.